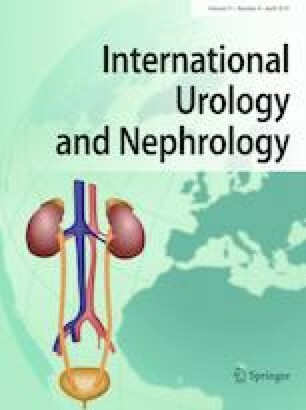 The aim of this retrospective study was to assess the efficacy of a modified peritoneal dialysis catheter insertion technique for reducing the incidence of mechanical complications. We conducted a retrospective analysis of clinical data of 346 patients undergoing peritoneal dialysis catheter insertion at our peritoneal dialysis center. The traditional procedure was performed in 157 patients (group A) and the modified procedure in 189 patients (group B). The double-polyester-cuff straight Tenckhoff catheter was used in all patients. At the end of 1 year, tunnel inflammation was more common in group A (21 patients after 0.011 patient-months follow-up versus 10 patients in group B after 0.007 patient-months of follow-up; p = 0.009). Technical survival rate of the catheter was significantly higher in group B (97.35% in group B vs. 89.81% in group A; p = 0.005). All-cause mortality was not significantly different between the two groups (4.5% in group A vs. 3.2% in group B; p = 0.532). Postoperative mechanical complications were also higher in group A (32 patients [20.4%] in group A vs. 3 patients [1.6%] in group B; p < 0.001). The incidences of complications such as hernia, dialysis fluid leakage, hemorrhage, incision infection, and prolapse of the polyester cuff were similar in the two groups. The simple modified peritoneal dialysis catheter insertion procedure decreases the occurrence of catheter migration andomental encapsulation and improves the technical survival rate of the catheter. Yingqin Li and Ye Zhu contributed equally to this study. We thank our operation team and PD nursing team for their able assistance. This work was supported by Guangdong Provincial Natural Science Foundation (Grant No. 2016A030310193).